What can be better than a jacket potato on a cold January evening? 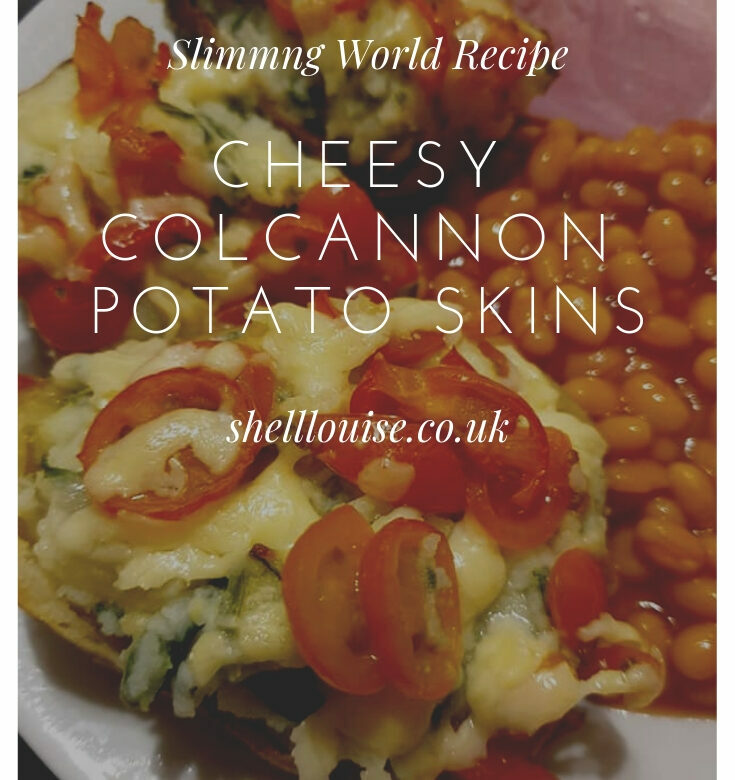 A cheesy colcannon stuffed jacket potato, that’s what! We had baked beans and gammon with our potatoes, I just didn’t fancy speed foods, I needed some comfort foods! Prick each potato 2-3 times with the tip of a sharp knife. Put them straight on to the oven shelf and bake for 1 hour 15 minutes or until tender with a crisp skin. While the potatoes are baking, spray a non-stick baking tray or roasting tin with low-calorie cooking spray. Add the onions and seasoning and toss well. Spread out in an even layer and roast alongside the potatoes for 15-20 minutes or until soft and nicely caramelised. Boil the cabbage/spring greens for 5 minutes then drain and dry well on a clean tea towel. Remove the potatoes from the oven and halve them lengthways. Scoop out the flesh into a heatproof bowl and roughly mash. Stir in the quark, roasted onions, cabbage or spring greens, half the cheese and some seasoning to taste. Wipe the baking tray before spooning the mixture back into the skins and laying them on the baking tray. Scatter over the tomatoes, sprinkle with the remaining cheese and bake for 15 minutes or until the cheese is golden.